We’ve teamed up with Burnage Foodbank to help collect food items for people in crisis – popping up a Collection Point at this Saturday’s food & drink market and at every Saturday market after that. If you have any unwanted but in-date food, we’d love it if you could bring it along to the market on Saturday 8th August 2015, between 10am and 4pm. We’ll be popping up a lovely green gazebo where you can donate items, and we’ll make sure everything gets to the hard-working volunteers at the Burnage Foodbank. 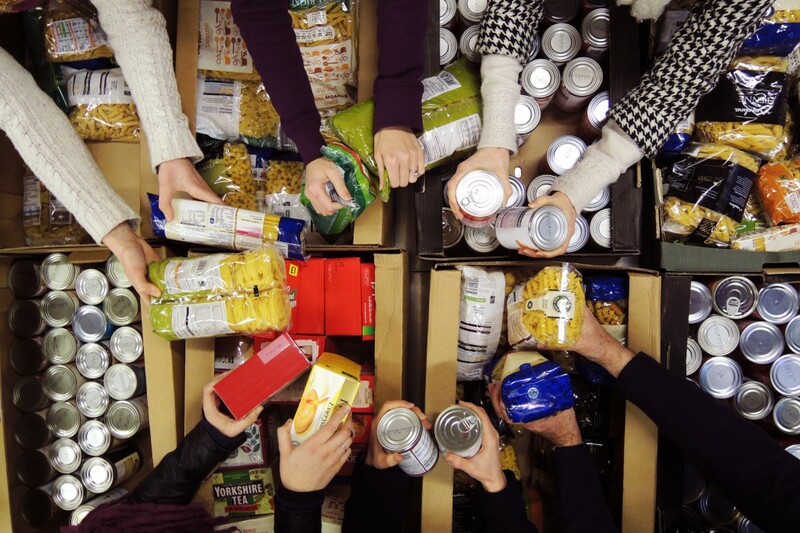 This Trussell Trust project collects, sorts and distributes food parcels to those who need it most – those who have been identified by frontline professionals like doctor, social workers and Citizens Advice as being in need of help and support. If you have any of these items and you’d like to help someone in crisis – please come along to the market this Saturday to drop them off. All donations will be gratefully received – thanks all! Starting from this week’s market, there will be a foodbank Collection Point at the market every Saturday – and we’ll drop off the donations at Burnage Foodbank every month. Keep an eye on the website and our Twitter, as we’ll be giving you regular reminders. You can also find out more about Burnage Foodbank and the national network of Trussell Trust foodbanks by clicking here. Huge thanks in advance for your generosity!